Cambodia,s hope of surpassing the 40 medal haul of the last SEA game is in the balance following a disappointing finish to day 7 events at the 26th SEA games in Jakarta and Palembang. With 3 boxers in the semi finals yesterday, team Cambodia looked certain to progress into the final but all three boxers were dealt great blow as they lost to their opponents in Palembang. 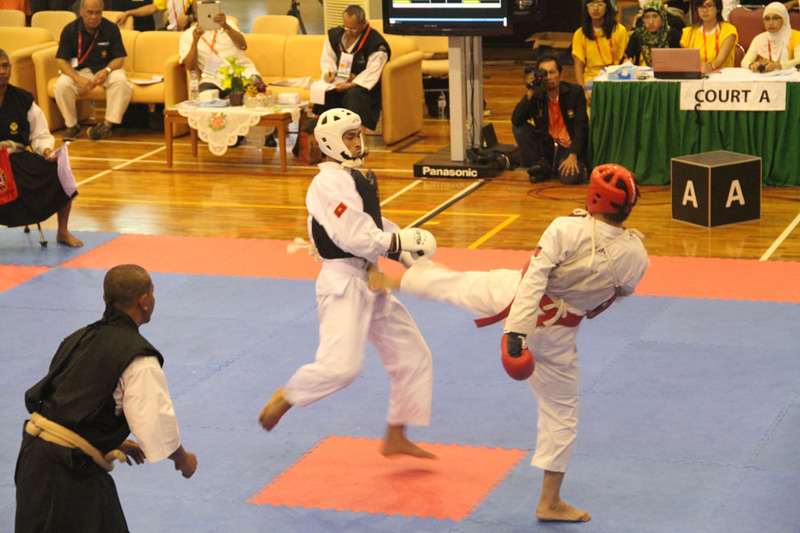 Svay Ratha and Choun Sok leng were both beaten by Indonesian Opponents, while France based Hout Samath found his vietnamese counterpart too strong to contend with. All three Boxers will now settle for bronze. In the Shurinjo Kempo, Cambodia made some progress towards increasing their bmedal haul following wins by Phat Saren, Kong Savorn, Sovan Kiri and Un Sovananra. All the four fighters put themselves in good position for a medal finish in the league round of the Random Sprin Pairing category. Sovan Rachana and Sovan Ratanak will look to increase their chances further later on Friday in the female category. In Wrestling, Cambodia returned with 3 bronze medals on Wednesday following loses by Chey Cha Raksmey, Chab Linh, Kang Depiseth and Nuth Sophol. They wrsetling team could not do better either on Thursday as duo of Dorn Sov and 2009 bronze medalist Chhum Chhivin lost in the weight respective categories. Cambodia's hope for a medal in Tennis also fell by the way side as France based Andrea Ka was bundled out in the quarter finals of the Women's single by Thailand's Licha Tepitaksin. Long Samneang could not progress through the round of sixteen either as he found his opponent from Philippines too strong. Cambodia's only chance of a medal lies with the pair of Bun kenny and Andrea Ka in the mixed doubles. Cambodia’s top ranked men’s player Bun Kenny, who was forced out of the court by a sudden attack of body cramps during the team event semifinals against Indonesia's No 1 Christopher Rungkat two days ago, pulled out of the men’s doubles to concentrate on the singles and mixed doubles. Interestingly, Bun Kenny and Ka will meet the Indonesian pair of Grace Sari Y sidora and Aditya harry Sason in the Quarter Finals today. Cambodia's basketball team will play their last game today. And inconsequential pool tie against myanmar. The Coach Austin Koledoye tutored side lost all three group games against Philipines, Thailand and Vietnam to finished bottom of Group B. Similarly, Myanmar were the whipping boys of Group A comprising of Singapore, Indonesia and Malaysia. At the end of Day 7, Cambodia's medal haul stood at 3 Gold, 10 Silver 15 bronze. They are now 12 bronze shy of the haul made in 2009 SEA games in Laos.